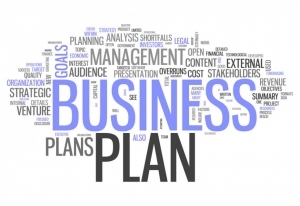 The First Step: Spa Business Plans and Spa Feasibility Analysis - Spa Advisors, Inc.
Every great business began as a thought or a “What if?” It is for this reason carefully planning is so critical to your business’s success. Before you take the first step, speak with us first. If you already have a location in mind; even better! Let us guide you from there. There are so many factors that determine whether a new spa or salon will be profitable. It is critical to evaluate not only the location but the available labor pool, the competition, their pricing structure, the product lines used, employee remuneration, and research into what may be lacking in a community and can that need be filled. How long will it be until the business is profitable? What factors often lead to a lack of profitability? What should be done prior to signing a lease or purchasing the land for the new business? What are the current trends that should be incorporated into this new business? What research must be done to assure the location and the population can and will support your business? How and where will you find the right employees? All of these questions are addressed in the initial phase of the project. Making sure there is a comprehensive plan addressing all of these questions, plus many more is paramount and gives you a better opportunity for success. Before a space is located or before a wall is drawn on paper, having a clear vision of what you should look for is very beneficial. Our concept allows you to experiment on paper and develop the scenario ideal for you. Our team then evaluates the concept and provides constructive ideas to take it to the next level. Up to the minute demographic information, market data, competitive analysis and more are utilized to for the assumptions presented. Although there is no guarantee for success, strong and thorough research and a keen understanding of the competition and to effectively compete against them gives you an advantage. No spa project is too big or too small for our company. We work to fit our customer’s needs. Our company works across the United States and abroad. We can assist with your entire project or, simply in an advisory role. Call us at 480-460-7727for more information and to discuss your project.